One of the best things about blogging is reading the posts of others. There are some really super cool writers out in the blogosphere. I meet new friends and learn new things all the time. 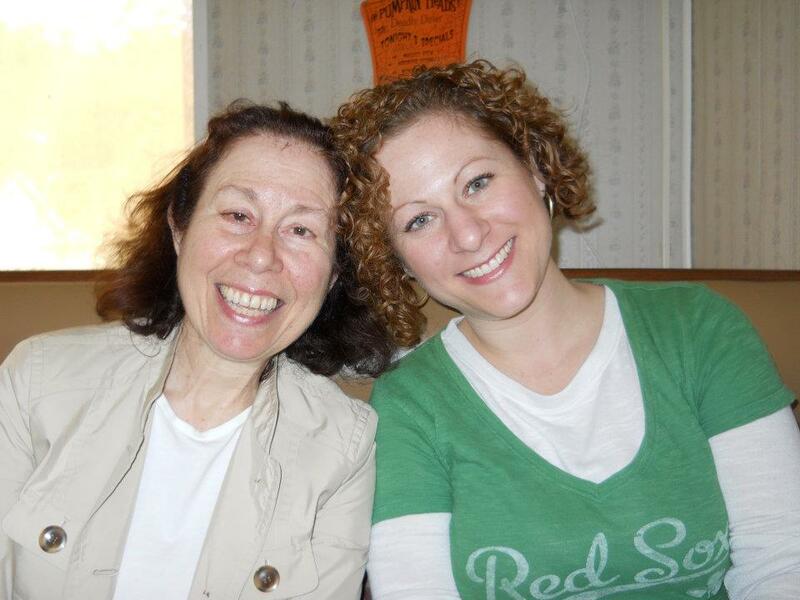 The other day, I discovered Things I Want to Tell My Mother, heartfelt posts written by a woman whose mother has Alzheimer’s. Please take the time to visit her blog, especially if you are a mother or a daughter…you will be glad you did. Marylin, the author of that wonderful blog, is having a contest and is asking for posts of one hundred words on Christmas memories with your mother or grandmother. Since I lived with my grandmother for many years, my Christmas memory will be about this special lady who was a role model for positive parental participation long before spending quality time with young children was considered crucial to building self-esteem. 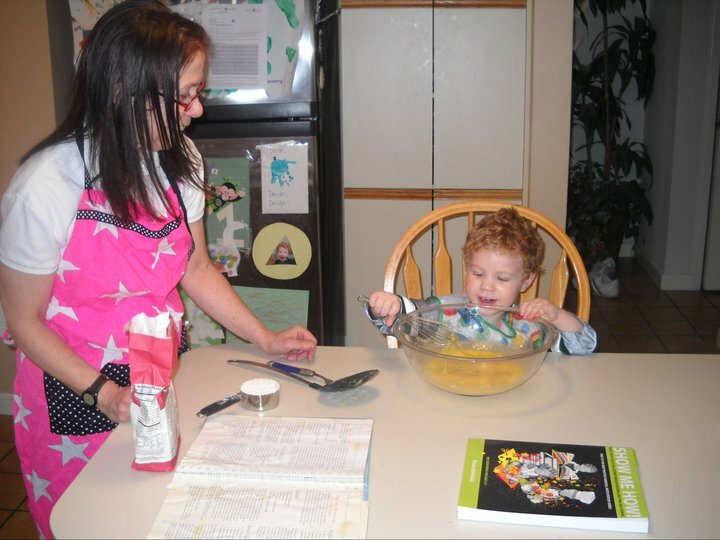 Memories like this one encouraged me to use cooking activities with my own children, the children in my daycare and as part of the self-esteem building activities in Show Me How! 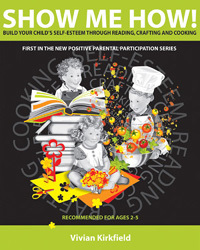 Allowing kids to help prepare food builds true self-esteem as they master tasks and skills in the kitchen. It also encourages fussy eaters to try new foods…if a child has helped prepare a meal; he or she is more likely to eat it. Or, at least try it. Here’s a cool tip: my niece who is a clinical psychologist, encourages her children to take a “no thank you” bite of every food that is being served. They know that if they really don’t like it, they can try it and say, “no thank you” and they won’t have to finish the portion. Experts say that it takes at least seven tries before we develop a taste for certain foods…so just because a child doesn’t like something the first time he tries it, doesn’t mean you should never serve it. 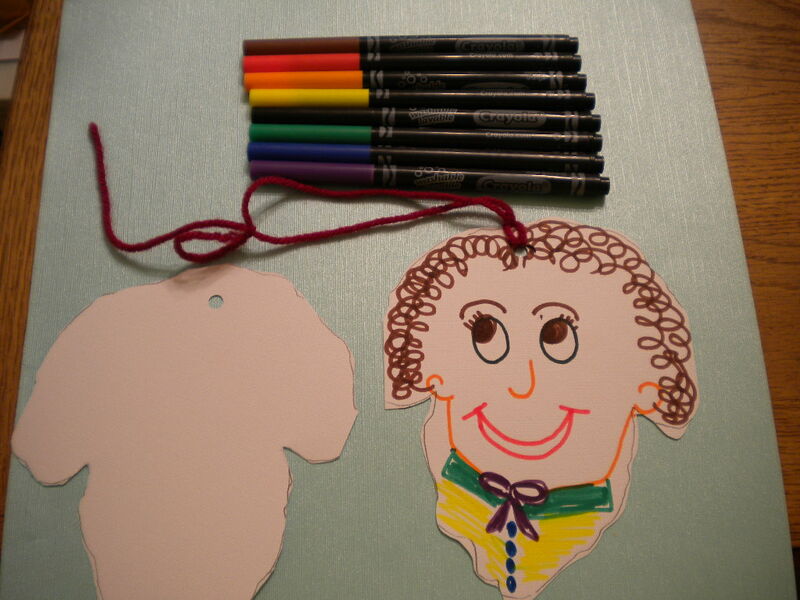 I’ve got several school and library programs coming up this week and next and I am really excited about sharing the picture book stories and craft projects from Show Me How! This is a back-to-basics program that builds self-esteem, develops better literacy skills and strengthens the parent-child connection. Please pass the word and help others get on the back-to-basics bandwagon. This will definitely be the gift that keeps on giving, long after many of the toys you buy have been discarded. 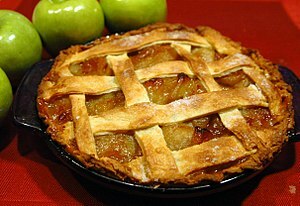 I follow quite a few bloggers and received a number of lovely posts for Thanksgiving. If you click on each link, it will take you to their Thanksgiving post. Wouldn’t it be wonderful if we could all keep this level of positivity and recognition of all the good things that we do have as these bloggers have done. Here’s a challenge: let’s keep the momentum going through till Christmas…and then can we put ‘keeping a positive attitude’ on our list of goals for the New Year? Children who grow up in a home that is filled with positive vibrations are going to be empowered to master tasks and skills; feel appreciated, loved and valued; and like themselves…all important components of building self-esteem. That’s what my book is all about…it enables parents and teachers to build self-esteem and better literacy skills with quick and easy activities that are fun for everyone! I hope everyone will spread the word about the 50% off sale on my website. The book makes a super cool holiday gift for a parent, grandparent, preschool, nursery or kindergarten teacher, daycare provider, babysitter…and it’s only $19.95! My husband and I would have loved to spend Thanksgiving Day surrounded by family…but unfortunately, our family is spread out across the country and traveling during the holiday season is difficult and costly and fraught with delays and cancellations. So we decided to turn this into a positive day and as soon as we spoke to our children this morning on the phone, we packed up our Jeep and headed to our favorite fishing spot. It was a glorious day here in Colorado…sunny and warm and perfect for outdoor activities. 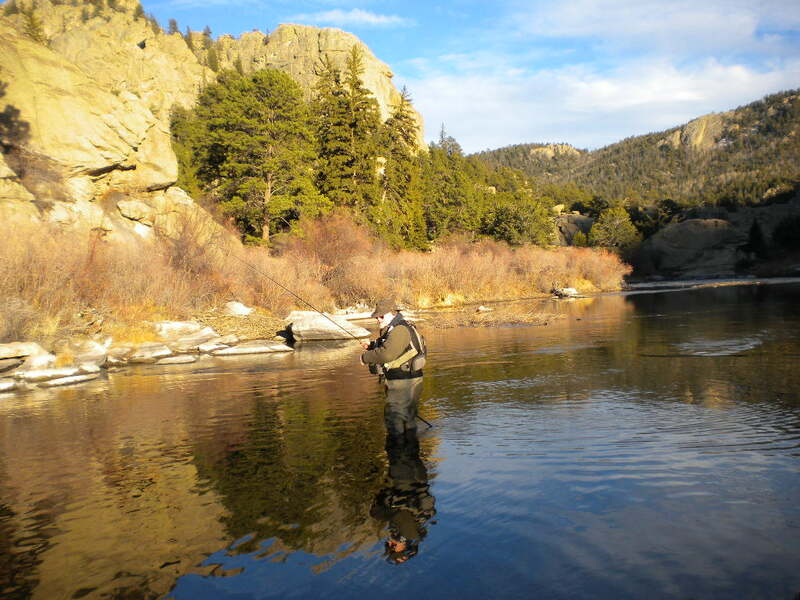 We fly-fish in the artificial lure only catch-and-release area at Eleven Mile Canyon. Sad to say, we found an empty Styrofoam container labeled “Night crawlers” in the brush on the bank. There are 9 miles of beautiful fishable water where you can use bait…and only 2 miles at the top by the dam where you can’t…and that’s where we found the worm container. 😦 We picked it up and added it to the rest of the garbage we would carry out of there, leaving the place clean for the next happy fisherpeople. There were actually a few people doing a riverside cleanup in a different area…what an awesome way to spend Thanksgiving! We had a wonderful day…my husband caught several rainbows…I had one on…but he got away. 😦 Maybe I’ll net him next time! We need to think positively, right? I spent this past Saturday and Sunday at the DoubleTree Hotel near the World Arena in Colorado Springs. 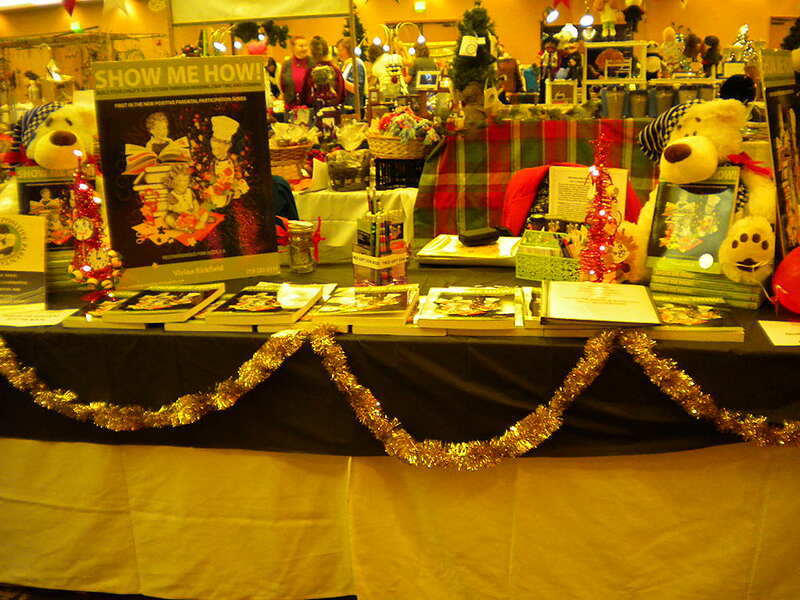 Sponsored by the Ecumenical Social Ministries, the Festival of Trees Family Fun Days was a many-splendored event. In the main ballroom dozens of vendors with beautiful tables filled with amazing items provided gift-giving purchase opportunities to the people strolling by. 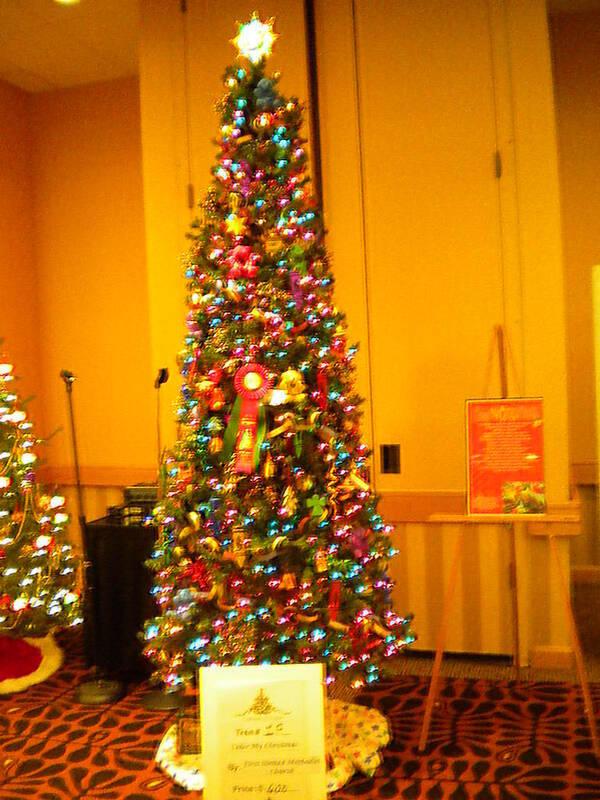 Gaily decorated Christmas trees were displayed and offered for sale. 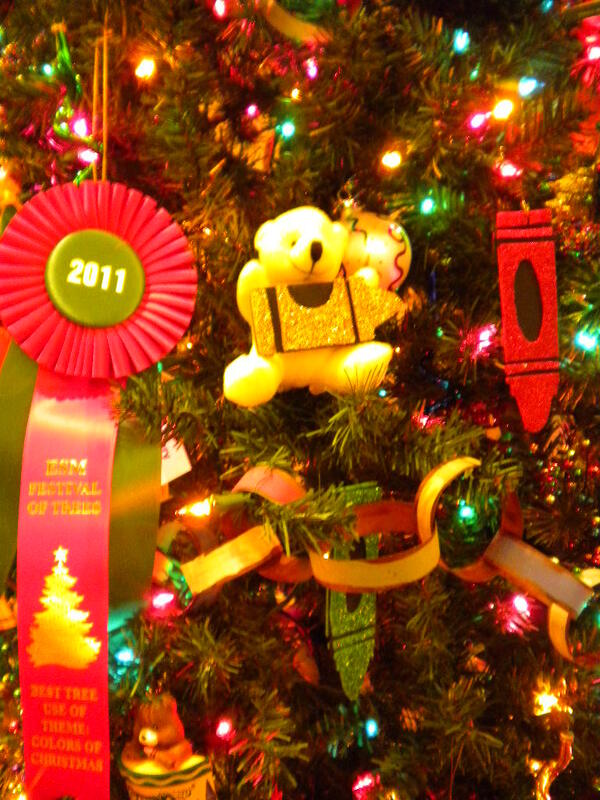 Ornaments on the Crayola Tree...a hit with every child! Santa-land had volunteers doing awesome craft projects with the children…and kids had the opportunity to meet Santa, as well as the Grinch who stole Christmas. Hundreds of door prizes had been donated by area businesses and the Ecumenical Social Ministries volunteers called out names every half hour…centerpieces, candles, hand-made quilts and gift certificates for free meals at local restaurants were among the wonderful prizes awarded to the lucky recipients. When my name was called, I was thrilled! 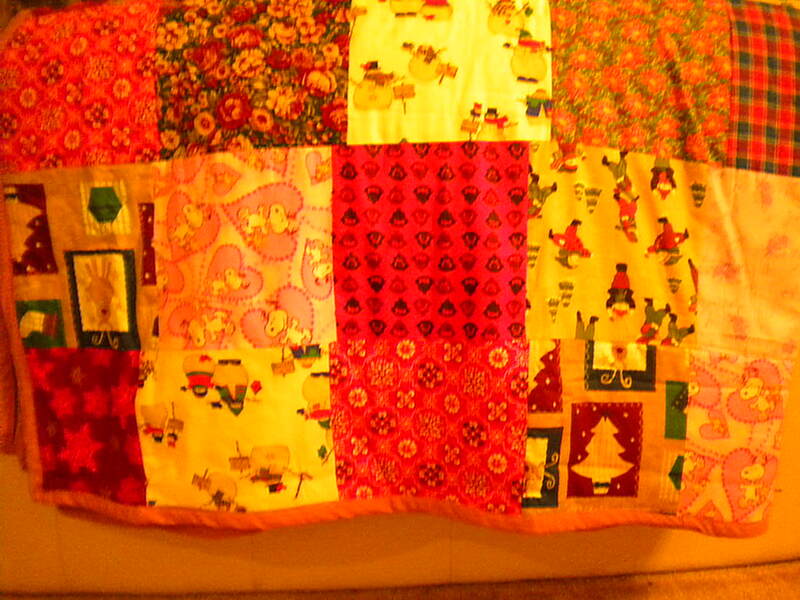 My prize…the most beautiful handmade Christmas quilt. On-going live entertainment added to the up-beat party-like atmosphere and we enjoyed bell choirs, drum groups, singers, dancers and more. The entertainment alone was worth the $5 per person entry fee…children 12 years old and under got in for free! 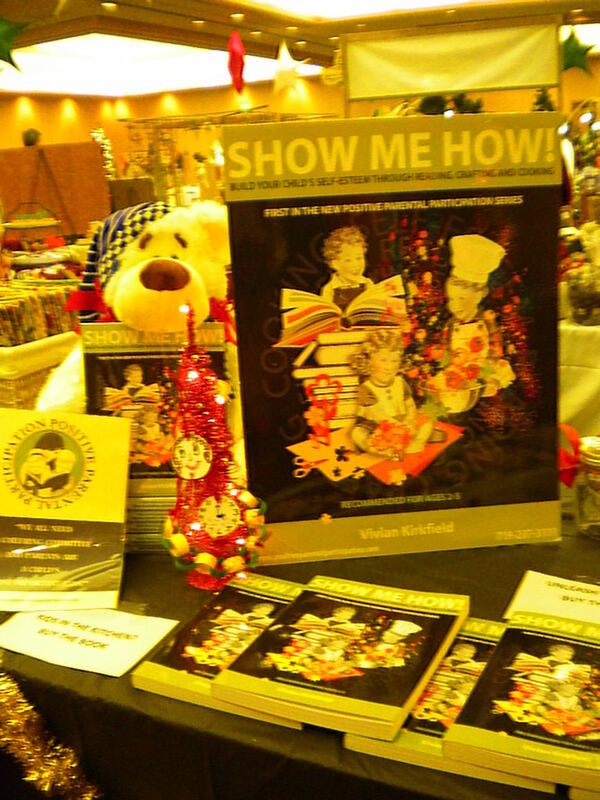 I had a wonderful time at the Show-Me-How table…talking to parents and children about building self-esteem and literacy skills with picture books and how easy it is to spend a little quality time with your child…reading, crafting and cooking. Parents who picked up my book were impressed with how many activities it provides. They loved the easy-to-use format with the picture book summary and parenting tip on the left and the quick craft and child-friendly recipe on the right. Speaking with hundreds of people in a two-day period can be somewhat exhausting, even when you are passionate about the subject. I’d like to share some of my reflections and observations. There are lots of parents out there who really care about their children. I fear we are moving away from a time when a child would be excited about receiving something new…no matter how small. Most of the children were delighted to come over and pick the pencil of their choice…but a few shrugged their shoulders and shook their heads…perhaps if I had been offering an iPad they might have thought it was a worthwhile gift. If, however, you think this might be the book for you…or you know anyone who might enjoy having 100 picture book recommendations, each paired with a quick and easy craft project and a simple child-friendly healthful recipe, please pass along the information. Show Me How! available on my website: $19.95 for a brand-new copy…and personally inscribed for the holidays if you wish! After observing the children at the Festival of Trees event and those of friends and family, I can tell you that many children have too much STUFF already…they don’t need the latest toy or gadget. What they do need is their parents’ time and attention! Buy the book and give them the gift of your positive parental participation that will last forever. In honor of Thanksgiving, I did a post the other day on giving thanks. I mentioned my good health, my wonderful children and my loving husband. Then I read a post by another blogger who just launched her new book, The Golden Sky, a memoir that tells about her painful loss of a son. I noticed that she was calling for other parents to contribute their stories about the death of a child and it touched a chord in my heart. Thirty-seven years ago, I was pregnant with our second child. Our son was a year and a half old and my husband and I were very excited! Everything was going so smoothly…every check-up at the doctor’s office was a blue-ribbon one. Something woke me in the middle of the night…not a pain…not even a feeling of discomfort. I guess I would call it a feeling of disquiet. Getting out of bed because of some cramping, I thought I would take a warm bath. I was six months pregnant and we had attended the Lamaze classes two years before…I assumed this was some type of false labor. As I reclined in the bath, I suddenly felt as if I had to go to the bathroom…really badly…and that’s when the nightmare started! Sitting on the toilet, I had an overwhelming sense of urgency to PUSH…my water broke…and I hobbled to the bedroom, calling for my husband to wake up. The rest of the night was a blur. The ambulance got me to the hospital quickly…my husband had brought our son next door to our neighbor’s house to stay till he got home…my doctor was at the hospital waiting for me and he comforted me, telling me they would do everything they could. Jeremy weighed one and a half pounds…a very tiny preemie, especially for 1974. The doctors were not able to save him and my husband and I mourned the loss of this precious life. I can’t tell you how much I wanted to get pregnant again…as quickly as possible. I’m sure if this has happened to you, you understand. 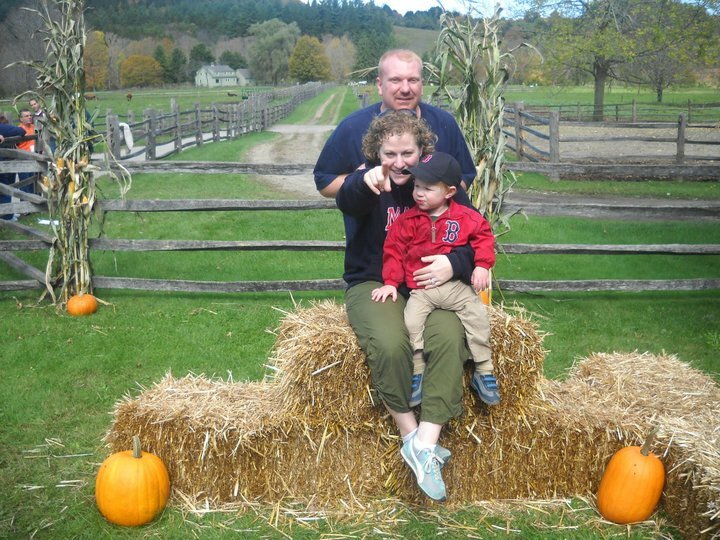 Of course we had our son…but there was still an empty space in our hearts. And, even though I did get pregnant again a year later and, thanks to my wonderful doctor (it turned out I had an incompetent cervix which means that at any time during a pregnancy, the cervix can start dilating, with no pain and no warning), had a healthy pregnancy and birth, that painful loss will never be totally erased. So why do I say that we need to give thanks for painful things? I think for two reasons: we grow stronger and more able to cope with life’s challenges and we also learn to cherish more what we do have. 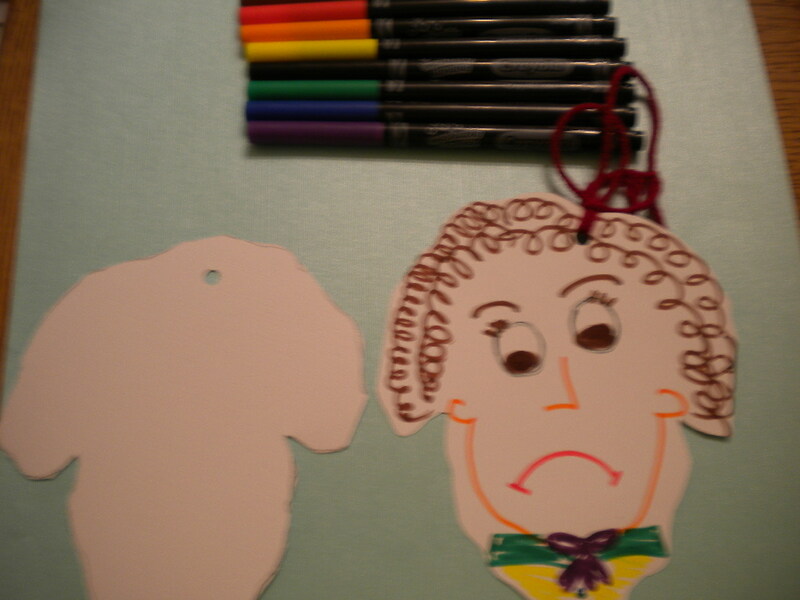 I hope you will all go and visit Elisabeth’s blog, http://ecwrites.blogspot.com/p/golden-sky-my-journal-about-zeke_02.html and find out about the wonderful prizes that will be awarded to celebrate the launch of her new book. She shares her painful journey and will certainly help others who face similar tragedies. The holiday of Thanksgiving serves as a reminder for many of us that we have much to be thankful for. As a mom, educator and author, I’m especially thankful for the amazing opportunity I have had to instill my values and share my beliefs with so many others. Being a parent is a huge responsibility…it’s like Show-and-Tell…we need to be good role models of the behavior we expect from our children. I’m thankful that when I taught kindergarten and Head Start, I learned so much from the other teachers, from the parents of the children and from the children themselves. I’m thankful that when my children were growing up, I spent as much time with them as I could…operating a home daycare enabled me to stay at home and be there to see them off to school as well as be there when they returned home in the afternoon. I’m thankful that now that my children are grown, with families of their own, the bond we formed years ago has grown even stronger…we all look forward to each opportunity we have to spend time together. 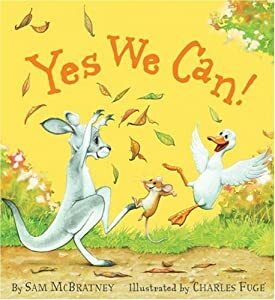 I’m thankful that during my school and library Show-Me-How programs, I am able to connect with so many young children and pass along the messages in picture books that may help them deal with problems that concern them. I’m thankful that when I do parent and teacher presentations, I can share my passion for using picture books and positive parental participation to build self-esteem, develop literacy skills and strengthen the parent-child connection. I’m thankful that because of my book journey, I’ve been able to connect with wonderful people…awesome bloggers, other authors who are generous with their time and expertise, and so many more. I’m thankful for my husband of forty-four years who has been so supportive of everything I am involved in…we still enjoy being with each other, whether we are hiking or fly-fishing in the Colorado Rockies or sitting toe-to-toe on the couch watching a movie together. Getting ready for a day of fishing! I’m thankful for my health and my ability to do what I need to do and want to do. I’m thankful to live in a country where I can do what I need to do and want to do…and where there are places of beauty and wonder still to be explored. As this year draws to a close, I look back with thanks for all that I have and I look ahead, with eager anticipation, to what the future may bring. What are you thankful for? Please do share. Kirkfield, Stuart – The Fine Bamboo Fly Rod: A Master’s Secrets of Restoration and Repair – Colorado Springs, 1999, Cork & Cane Press, 2nd Edition, Hardcover, Dust Jacket, Brand-New – Signed. When I write a post about a book, I’m usually reviewing a children’s book. Today, however, I’m going to talk about a different type of book…one for people who love bamboo rods and fly-fishing. When I met my husband over 48 years ago, neither of us knew anything about fly-fishing. In fact, in 1969, we went fishing on the Gibbon River in Yellowstone National Park and saw a sign in the river that read, “FLIES ONLY” and we walked away wondering how someone would catch and kill the flies and attach them to the hook. As soon as we got home, my husband began to research this “fly-fishing” and soon was “hooked” himself. 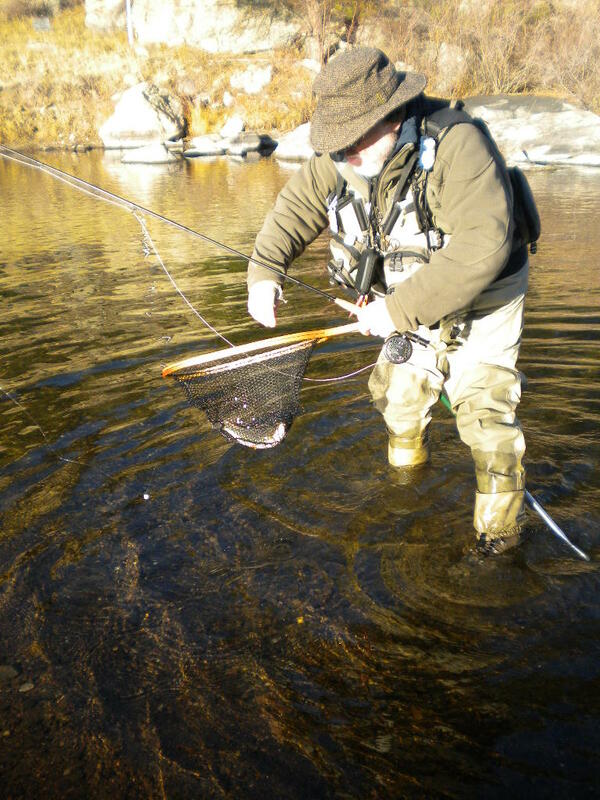 To make a long story short, he was so intrigued with the mystique of fly-fishing, he studied everything about it that he could find and soon was refinishing bamboo fly rods for prestigious companies like Abercrombie and Fitch. In 1986, he wrote a book on the subject, The Fine Bamboo Fly Rod: A Master’s Secrets of Restoration and Repair, which was published by Stackpole Press. 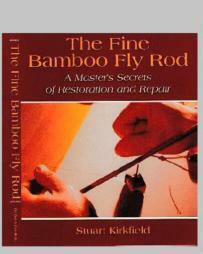 This book has become “the bible” for people who want to know how to restore or repair their cherished bamboo fly rods. Many of these treasures are passed down from generation to generation and are valued at many thousands of dollars…so it is very important to be able to fix the problems that may occur with age and use. Gerald J. Mullen’s brilliant photography has captured every step in each process and helps even a novice understand what needs to be done and how to do it. Of course, for the person who wants to restore or repair a bamboo fly rod, this is an awesome book. It also has great value for anyone who is interested in the history of bamboo fly rods and the spiritual attachment that anglers have for them. 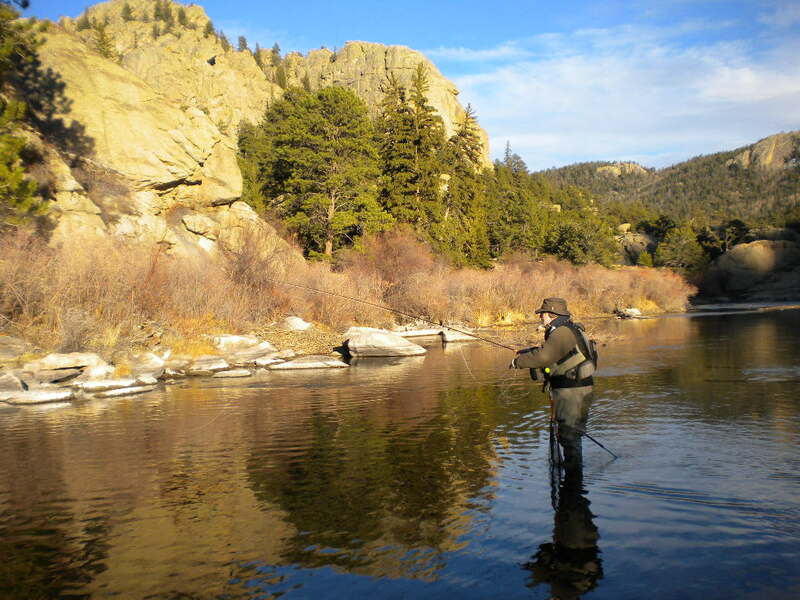 The book is beautifully written and even someone who is not into fly-fishing will enjoy reading it. 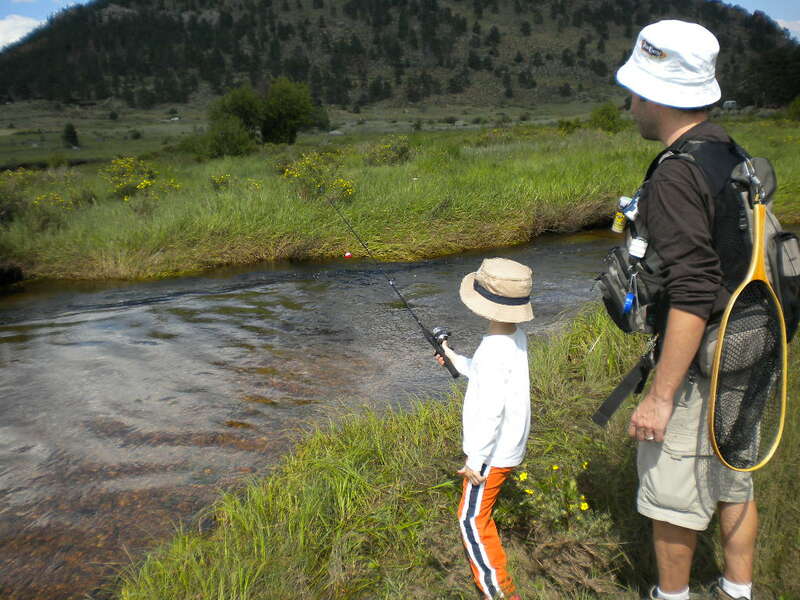 Father and son make a great fishing duo...watch out, Mr. Trout! I’m thrilled that my husband has agreed to offer his book on my website. 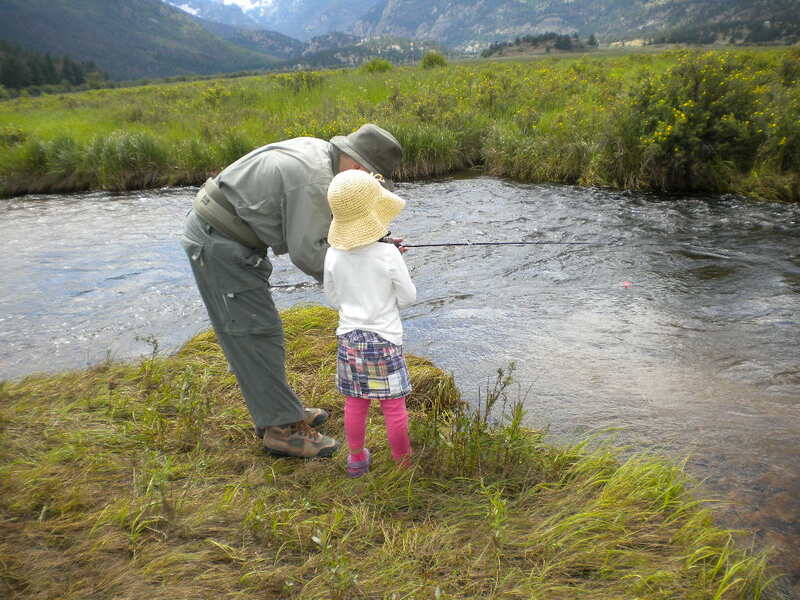 I’ve done several posts about how fishing with young children is a wonderful intergenerational activity. 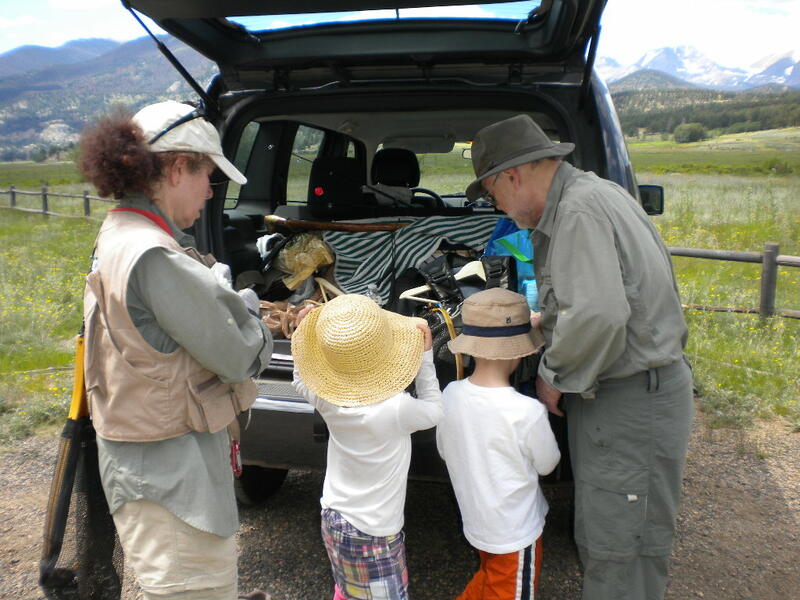 Parents, grandparents and children will enjoy being together in the beautiful outdoors and all can learn from each other. Fishing provides a great opportunity to encourage children to protect and preserve our rivers, streams and the environment. If you need some gear to outfit your kids you can go to the website of Take A Kid Flyfishing. Our granddaughter listened with rapt attention to Grandpa's instructions. This NEW, AUTOGRAPHED, hardcover copy of bamboo rod restoration and repair is THE BIBLE on this long-kept secret art and is currently priced at $169.00 per copy, with used copies selling online right now in the $200 – $300+ price range. Now – as a special promotion for the readers of Positive Parental Participation and my followers on Twitter and other social media – brand-new copies (straight out of the publisher’s shipping carton) are available for only $99.95 each. A very limited number of copies are being made available at this price. The holidays will be here soon! If you have any fly-fishermen (or fisher-women) you are fond of, why not give them something they might never get for themselves. Please visit again for my next post…I’ll be sharing some quick fixes for those temper tantrums that sometimes flare up while we are holiday shopping with kids.